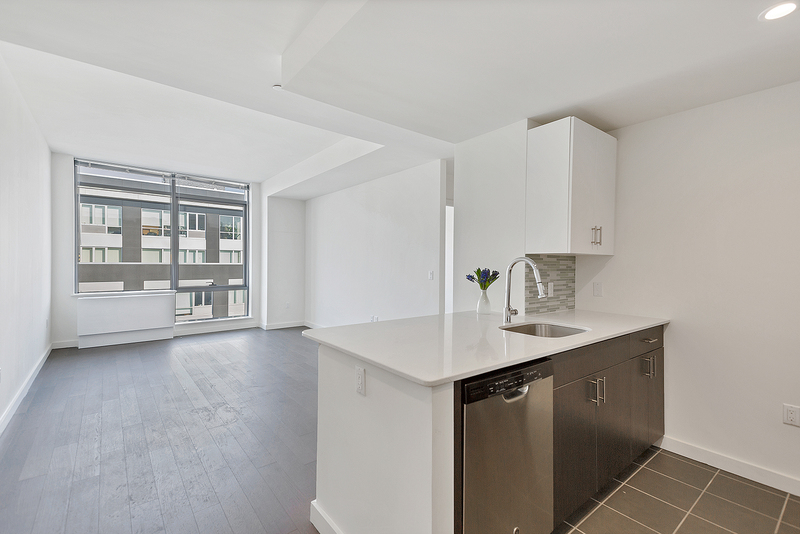 This 1-bedroom, 1-bathroom has wide plank hardwood floors throughout, oversized windows and your own washer/dryer. The kitchen features stainless steel appliances, a glass tile backsplash and quartz countertops. The master bedroom has a large walk-in closet, and the modern bathroom has a deep tub and colorful glass tile accents.